Through various ministries, GFA helps nurture family units. Strong families impact communities as they shape generations and form worldviews. Through education, income-generating gifts, hygiene, basic medical training and care, Jesus Wells and, most of all, the love of Christ, many families are experiencing change today. Healthy families are important to the Lord's heart and society as a whole. 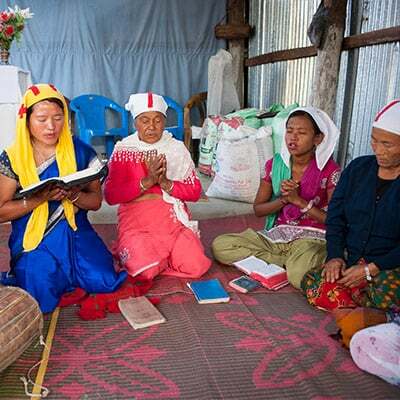 This month, we can take part in building up healthy families in Asia through prayer. Together we get to ask our Father in heaven to strengthen family units in this generation so the generations to come may be impacted for good. Many men and women in Asia were never able to go to school because of poverty. They also struggle to keep their children in school when there's not enough income to meet daily needs. Through GFA-supported Bridge of Hope centres, families are being relieved of the financial burden of having to buy school supplies, and they experience love and respect from the Bridge of Hope staff. At the centre, children receive an education as well as learn helpful hygiene practices. They also participate in community-building activities, learn cultural dances and get a healthy meal each time they come to the centre. Bridge of Hope students and their families also receive practical gifts such as blankets, mosquito nets and even pots and pans, depending on the family's needs. Meeting these basic needs is a huge help to these families in poverty. There are many broken and hurting families in Asia. Some fathers try to drown their hardships in alcohol, while some mothers work as prostitutes in desperation to provide for their children. Poverty-stricken homes and runaway kids are not hard to find, and the reality verifies there is no end to the struggle and hardships many families face today. GFA-supported workers, pastors and Sisters of Compassion are helping these families. Whether it's by counseling men to help them move past their addictions, giving women the tools and skills they need to start a new trade or helping a family get back on its feet with a few chickens or goats, these brothers and sisters are living proof of God's love for them. 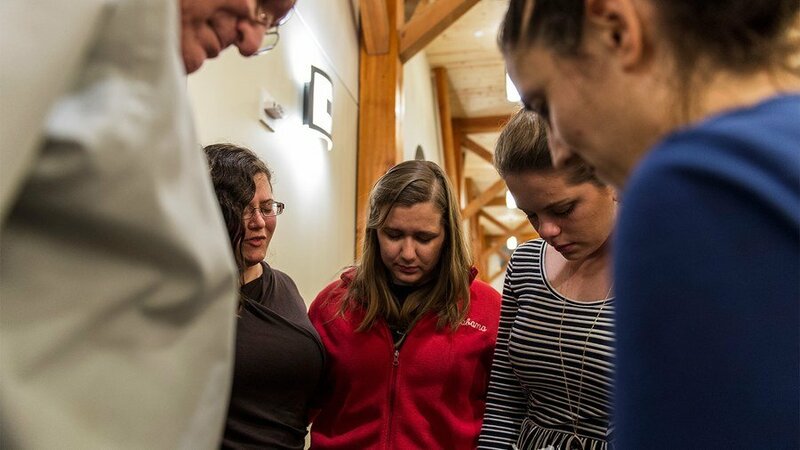 Many families, for the first time in their lives, learn about God's love. Through this experience, they discover their lives have true meaning and hope for restoration. Let us be part of praying for these families too. Please pray the Lord will heal these broken families and use our brothers and sisters to minister peace and hope into their lives. GFA-supported missionaries, pastors and their families are busy people. Along with Sunday services and church events, GFA-supported Christmas gift distributions and being on call to pray for the sick and hurting, they have a host of responsibilities on a daily basis. As their ministries flourish, this only increases. Please pray for a good balance of ministry and family time for these brothers and sisters. Ask the Lord to strengthen these families with grace as many eyes look to them as examples and as people come to them for help and prayer. Ask the Lord to bless these families and strengthen them by His Spirit daily. Within churches led by GFA-supported pastors, there are many family-building activities the community can get involved in. Women's Fellowships, Men's Fellowships, Sunday school and youth ministry all play vital roles in strengthening the home. Husbands learn to love their wives and better lead their families through studying God's Word. Women learn to respect their husbands and care for their children through the Women's Fellowship activities and prayer meetings. Children learn how to honor their parents in their Sunday school lessons, and youth grow in their passion for Jesus through their young-adult meetings and events. All these fellowships help strengthen the unity of mothers, fathers, children and even distant relatives because of the Lord's work in their lives and hearts. Please pray these activities and programs will help build strong families as each individual draws nearer to Christ. 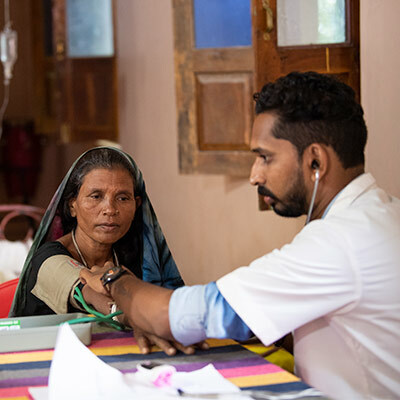 GFA-supported medical camps and health care seminars offer services in some of the most remote villages that have no hospitals or medical facilities. 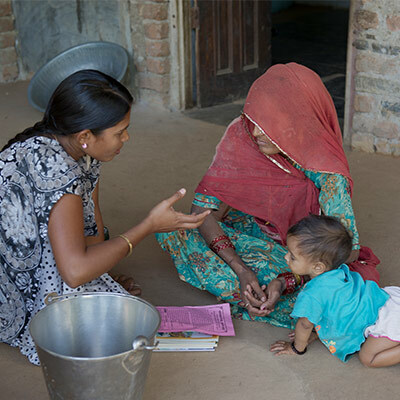 Often people in these villages are too poor to access the medical attention they need. Through medical aid and hygiene training—along with Jesus Wells, BioSand water filters and mosquito nets, gift which protect families from contracting illnesses—families are being helped. Please pray the Lord will bless families that are in poverty and that He will make a way for these programs to start in areas where help is most needed. 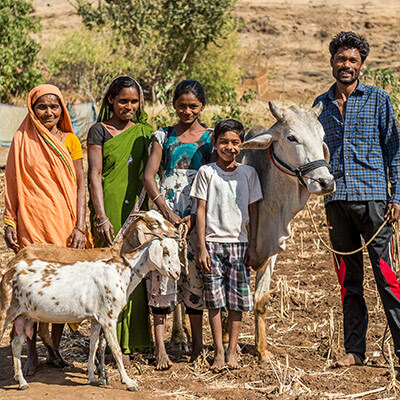 Goats, sewing machines and rickshaws help build strong families! Through these income-generating gifts, many families are experiencing financial liberation that also brings hope and peace to anxious hearts as they learn they are not forgotten by God. Please pray the Lord will continue to bless families with the items they need to make a living and help keep their families alive and thriving!